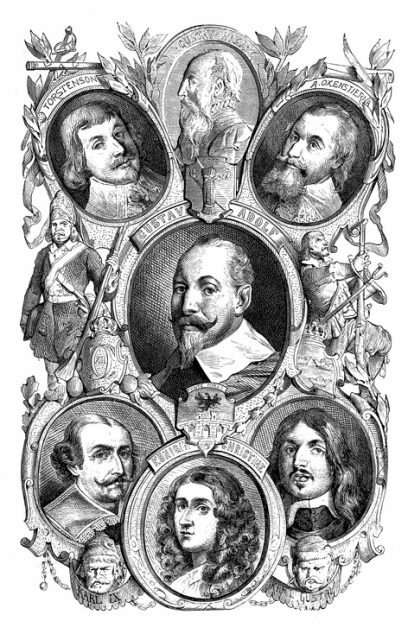 During the 1620s, Swedish king Gustavus Adolphus ordered the construction of a new warship to serve his people’s defense. The warship picked the name Vasa and its construction was hurried as Swedes were in those years waging war with the now historic bi-confederation entity reigned by one monarch–the Polish-Lithuanian Commonwealth. 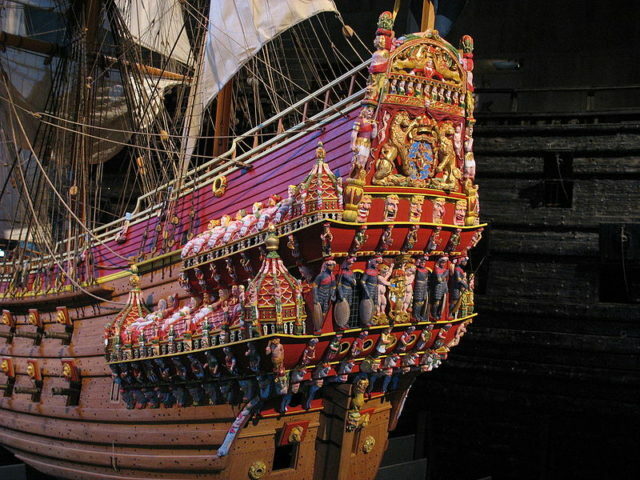 Upon its creation, the Vasa warship was described with several several superlatives such as being the greatest and most capable war vessel at the disposal of the Swedish navy. 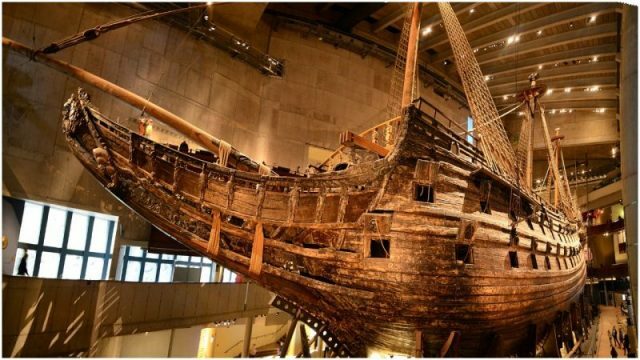 The ship came to symbolize Sweden’s Great Power Period, in which the Nordic country controlled most of the Baltic Sea and forged its status as one of Europe’s most powerful kingdoms. 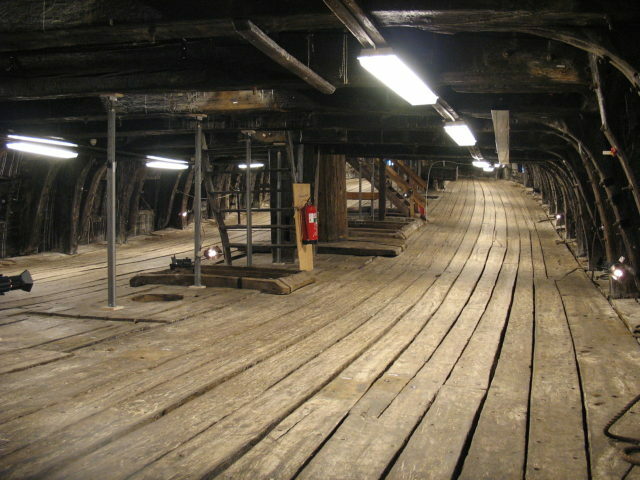 The ship’s appearance was stunning, measuring 226 feet in length, 164 feet in height, and weighed more than 1,200 tons. With some 64 cannons installed on it, it promised whoever tried to mess with Vasa would face serious consequences. As it turned out, it never came to that. The ship, against everyone’s expectations, proved to be fallible and faced an end that might easily remind people of the story of the RMS Titanic. Vasa did not hit an iceberg but still ignominiously sunk on its very first journey. It was an embarrassing incident, overseen by crowds of Swedes who had gathered at the port of Stockholm from where the ship set sails towards the open seas for the very first and last time on August 10, 1628. There were also prominent guests in the onlooking crowd, including royals and ambassadors from other countries. Having not sailed even one nautical mile, the mighty warship suddenly plunged into the water. Accounts point to errors happening during construction. The vessel was the work of a Dutch shipbuilder. The contract was signed early in the year 1625 and Vasa was one of four vessels agreed on the list with shipbuilder Henrik Hybertsson. The original arrangement was to have two smaller and two bigger vessels. Hybertsson died shortly after undertaking the project, and the construction effort was taken over by his assistant, Hein Jakobsson. Construction plans were obviously modified, as Vasa, which was supposed to be one of the two smaller ships, appeared to be fitting the pair of two bigger ships upon completion. The ship came out much heavier than planned. It also carried extra weights such as hundreds of sculptures and at least 100 tons of ballast. 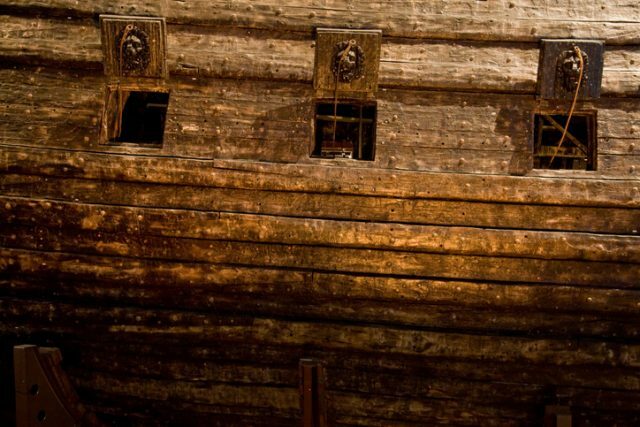 More evidence shows that the Swedes had the warship tested and noticed something was wrong with it, but under the pushy demands of the king, Vasa was prematurely sailed into the open sea and towards its premature doom. A strong gust of wind was enough to overturn the vessel. When water began to enter, all it took was a few minutes for it to sink 105 feet below the surface. The Swedes were quick to dismiss and forget Vasa. This was to be their new favorite war toy and national pride and joy, yet it now lay sunk on the bottom of the ocean on its maiden voyage. It was a scandal that hurt the reputation of the kingdom, as well as having huge economic repercussions. 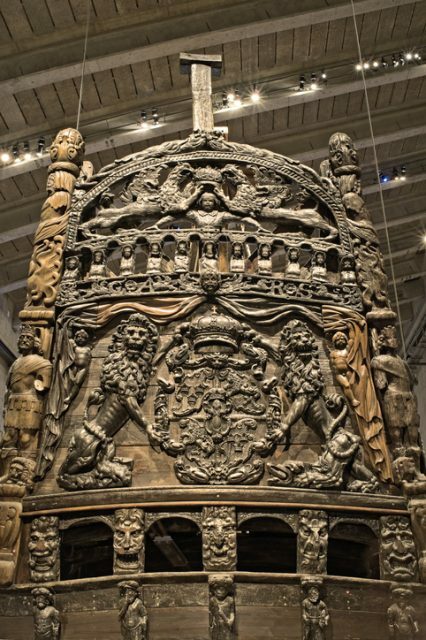 Vasa had costed a fortune. While an investigation was ushered in immediately after the ship sank, little could be done. The main shipbuilder had already been dead for over a year. There were efforts to recover Vasa from the sea floor immediately, but the task seemed impossible with the limited technology of the time. By the 1660s, a group of divers was able to retrieve the cannons, using an early model of the diving bell. The shipwreck was eventually left abandoned and forgotten…until the mid-20th-century. 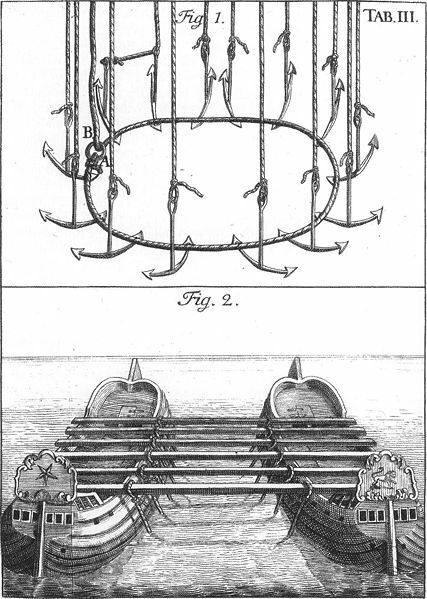 Illustration from a treatise on salvaging from 1734, showing the traditional method of raising a wreck with the help of anchors and ships or hulks as pontoons, basically the same method that was used to raise Vasa in the 20th century. 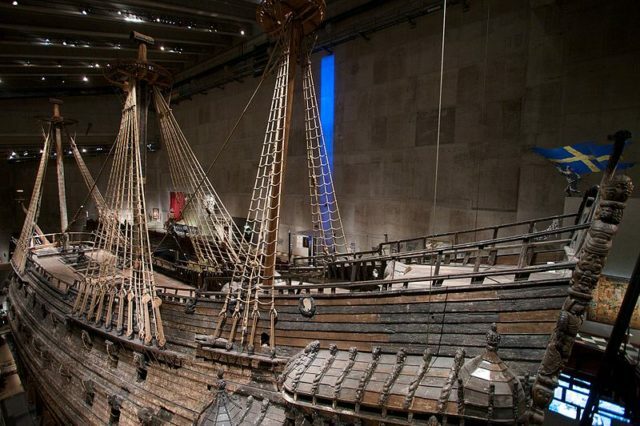 In 1961, a few years after the shipwreck was rediscovered and identified as the lost 17th-century Vasa vessel, Sweden finally managed to recover it. Although Vasa had for centuries remained submerged in the sea, upon its reappearance it seemed positively in pristine condition. The underwater position where it had sunk was key. 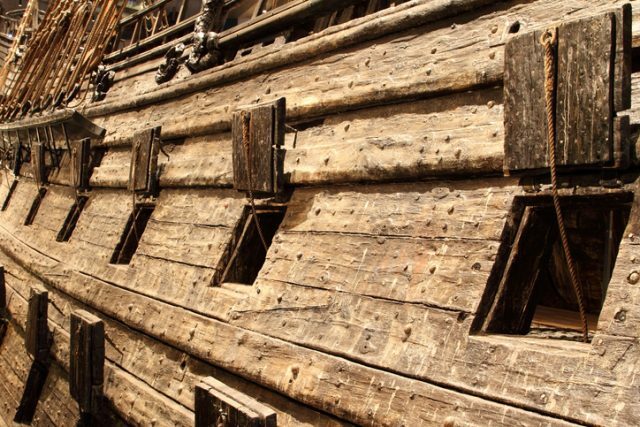 The water was dark enough to stop ultraviolet light from protruding and affecting the ship’s wood. The chilly temperature of the Baltic was also soothing, preventing any rapid deterioration processes. Having sunk close enough to the harbor, there was enough pollution in the water to bleach most parasites that may have wanted to feast on the wood of the wreck. But some decaying issues began once the ship was taken out of the water. 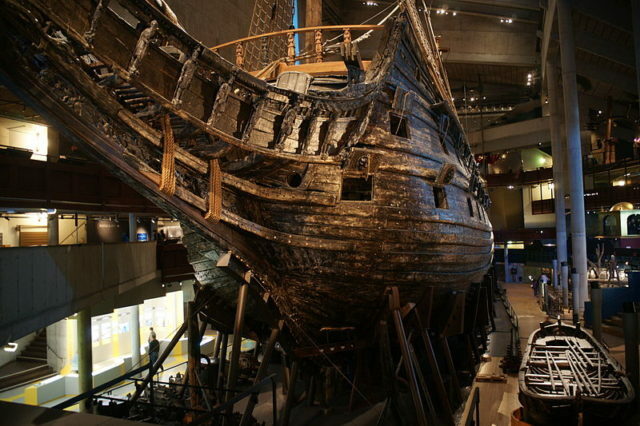 Vasa underwent restoration at that point and was treated with substances to protect the wood, however, lab research later confirmed that the wood of the ship was struggling with extremely slow, ongoing fiber degradation. There is no threat of immediate collapse, but this has remained a major occupation for conservationists who are still looking for the best way to stop the risky process. 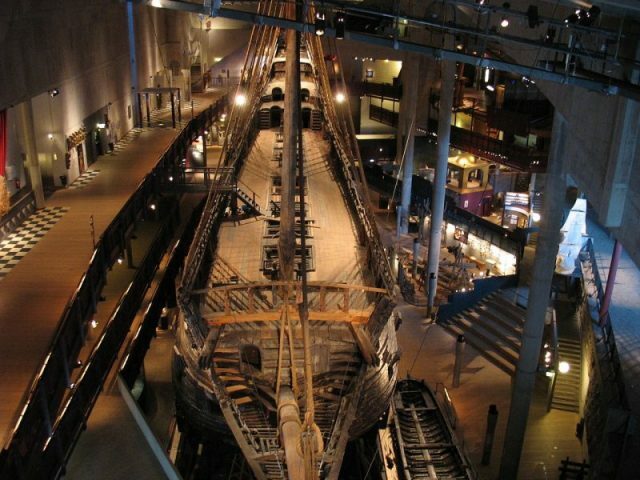 Should the Vasa museum where the shipwreck is famously displayed in Stockholm allow its prime exhibit to perish for the second time, it would be a huge national loss. 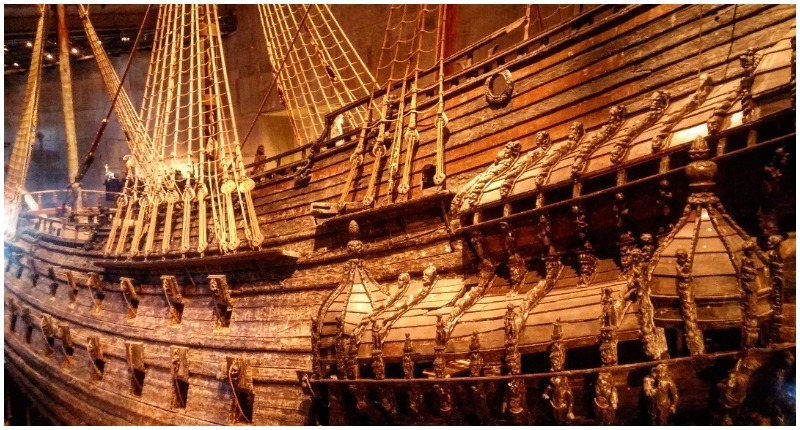 The Vasa goes a long way and has a special history with the Swedes as well as being one of the best preserved historical ships in all of the world.